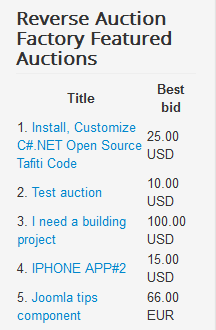 The first 5 types of auctions are displayed on the frontend by a single module. You choose from the following types for an instance of the module: featured, latest, popular, random and the most valuable. The module can be published as many times as desired, with different types. From the backend, you can set the maximum number of auctions to be displayed and to force an ItemId for all the links in them. 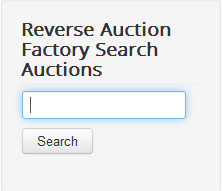 The Search Auctions module will add a text field and a search button which will help users search for the auctions that contain the keywords they inserted. 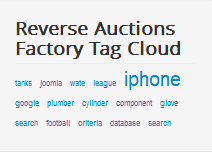 From the backend, you can also choose to perform the search in the description of the auctions. 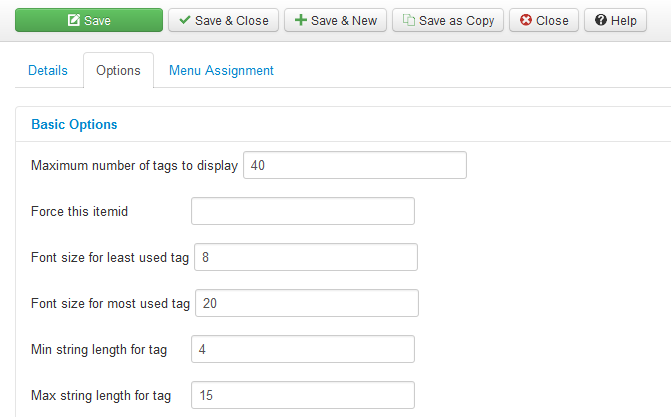 For this module, you can set a Maximum number of tags to display on the cloud. You can set the font size for the least and most used tags, and also add the minimum and maximum number of characters a tag must have, in order to be displayed. 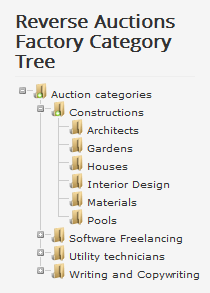 This module will add an expandable category tree to your website, which allows users to easily find auctions within a specific category. 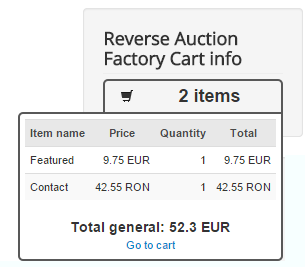 A new feature for Reverse Auction Factory is the addition of the Shopping Cart. With it, users can pay multiple payment items at once, such as par per listing, pay per contact, pay per bid, pay for featured auction or even add to their personal balance via cart. For more information about all these payment items please check our Reverse Auction Factory - Payment Plugins Guide. Add to cart buttons will be available for the payment items previously mentioned. Clicking on them will move the items into the cart, which allows users to buy all of them at once, thus simplifying the buying process. The Cart info module can be configured to be displayed on all pages, like every other module, allowing users to check the items from their cart and their prices at any time. Once published, you can hover the cursor over the module to view the items in it. Click on Go to Cart to proceed with the payment procedure.